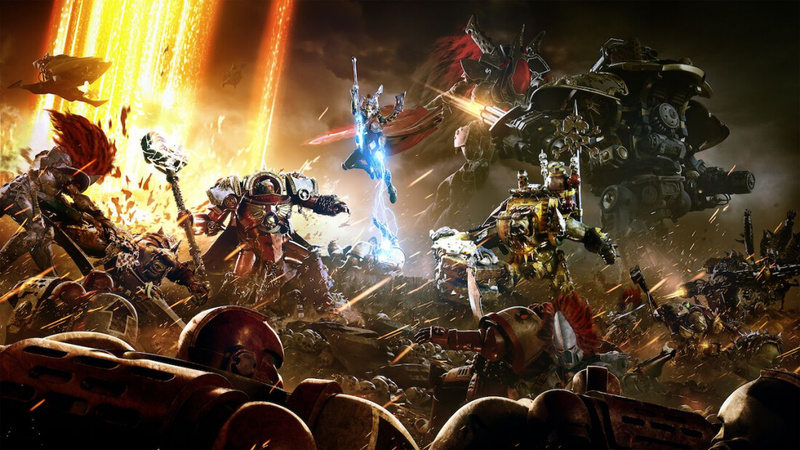 Real-time strategy fans will be eager for April to arrive, as Sega has announced that Warhammer 40,000: Dawn of War III will be released on April 27th exclusively for Windows PC. Dawn of War III was first announced in May 2016 and was partially playable at E3 2016, although it has been in development for some time now. Its predecessor, Dawn of War II, was first released in 2009 and received expansion packs up until 2011, but fans of the series haven't had anything new to play since then. Developed by Relic Entertainment, Dawn of War III is a typical overhead real-time strategy game that sees you take deploy and control units from three races: the Space Marines, Eldors, and Orks. Each race has special abilities, and its own class of large walker units that can inflict huge amounts of damage. The intricacies of Dawn of War III are still being kept under wraps, so you'll just have to wait to play it on April 27th to see how the game has progressed over the last seven years.